← How Can Occupational Therapy Help You Do the Things You Love! You may ask what irritable bowel syndrome is. Well, this is a condition that’s more commonly referred to by its initials – IBS. It is a very common disorder that happens in the colon, wherein the person experiences abdominal pain, cramping, bloating, and constipation. This condition usually affects elderly and has an estimated 10% of seniors suffering from this disease. Have a healthy diet. Most seniors would complain that certain foods, such as raw veggies, spicy meals, and those high in fats, easily upset their digestive system. Your loved ones should realize that they can’t just eat whatever pleases them, just like how they used to without experiencing a flare-up of their current condition. In order to assist your loved ones in this matter, encourage them to make a food diary. This technique allows them to easily pin point as to what exactly is the food that causes the flare-up of the symptoms. You can also get a professional caregiver who can provide the encouragement that your loved ones need so they can eat better. Find time to relax. IBS is triggered by stress. If your loved ones are constantly exposed to stress, it sure is a perfect recipe for IBS to flare-up. Be the source of support to your senior parent so that they will not be overwhelmed by the feelings of stress. Assist them in initiating positive changes in the way they combat stressors, such as supporting them when they do yoga and meditation exercises which Rehabilitation Services in Flemingsburg, Kentucky offers. Be active. Encourage your loved ones to at least devote 30 minutes of their time each day for exercise. However, make sure that they have consulted a doctor with respect to the kind of exercise that they are allowed to perform to avoid unexpected events that might happen. The safest exercise that you can let your loved ones do is brisk walking, as it can help keep the digestive system to function in its proper form. Exercise decreases the level of stress felt by your loved ones and at the same time, boost their holistic well-being. 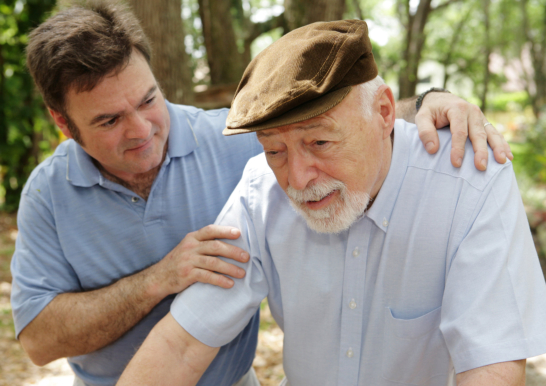 Assistance from a professional is important to help your loved ones in controlling the symptoms they are experiencing. Through professional support, you can easily promote an active lifestyle. Let your senior parents enjoy the golden years of their lives. If lifestyle change is not enough to control the disease, medical help should be initiated so that the right medication can be commenced once and for all.